So I’ve finally finished Fruits Basket. If you’ve followed along (or even just read my pre-read thoughts), you’d know I was not too excited to reread this series. So now, many years after my first and only read, what do I think of this series? I’m still kind of meh about it. I mean, it’s nice, but for me, it lacks that something amazing to make it good good, to make it AMAZING. Whenever it starts to be, the story is hijacked in one way or another. Some funny gags, like all the Kyo tortue and Haru’s mancrush on Yuki. Lots of droughts, especially Tohru/Kyo droughts and humor droughts. Almost all drama can be blamed on parents. Lots of self-analysis where characters monologue about how dirty/unworthy they are, even the non-cursed characters. Almost everyone is buddy-buddy at the end. Too much focus on student council in the second half. The art is also really a con for me, but it’s not Takaya’s fault she got injured. By the end, though, the characters look radically different and often lack individuality. It’s hard to tell characters apart sometimes. The art is very clean, but it’s also simplistic. There’s some nice images and visuals, but I wouldn’t rate her art as one of the best. I mean, moments like Kyo’s transformation or his realization are wonderful, but Kyo really stagnates in the second half of the series. I mean, I feel like the young Kyo admiring Tohru moments would have been better put to use with moments with their current selves. The student council chapters sucked up a lot of time as well. I was never a big Machi fan, but I think her romance with Yuki could have developed without Kimi’s admiring of herself or Kakeru becoming BFFs with Yuki. At times, the manga feels like a spinoff of itself. I still stand by that Tohru is pretty much a Mary Sue. Everyone loves her, and her biggest weakness is loving her mother. I get that her smiles are often a way of hiding her loneliness, but it’s not really a character flaw. It’s a way to show sympathy for her. Tohru also really doesn’t do much in the second half. The first half was all about her sharing her mother’s life lessons, but Tohru just kind of exists as Kyo’s love interest in the second half. We don’t even know if she got a job and what kind of job would suit her (maid? housekeeper?). The curse breaks on its own, and her big role is to reach out to Akito, which Shigure should have/could have done a long time ago. I think Tohru really need a Big Moment of Strength, and not just loving Kyo. 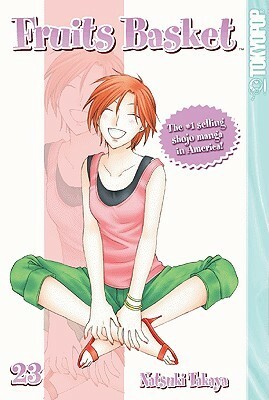 I do love a good psychological manga, and I have no problem with angst, but I wish the problems were a bit more varied. The parents blame their children, children try to be good for their parents, and that’s pretty much it. I almost wish we had more of characters like Hiro where his flaws are more about his own weakness instead of feeling inferior to his mother or father. Ritchan would also have been a nice character to have some development, but I guess with him living a ways away, Takaya just couldn’t include him more in the story. Still, a part of my enjoyment was surely sucked out a long time ago by rabid fans. But I just feel like it could have so much better if certain parts had been tightened up or balanced out. I know a lot of people dislike the first half, and while it is much more episodic, I feel like the mood shift around volume six is just what it needed. There’s darkness, but there’s light. Either way, I don’t see myself wanting to reread this series any time soon. I could reread titles like Please Save My Earth, Mars, and even shounen titles like Rurouni Kenshin once a year or more, but not this series. So, what do you think? Am I too hard on this series? Do you like or love this series? Are you a Fruits Basket fan who wants to convince me it deserves its popularity? Let me know! Yes, that’s Tohru in a bikini on my wall. It’s actually part of a display for manga for bookstores, but I got it dirt cheap on eBay. Since I didn’t have room for the whole display (no clue where the book display part is anymore…), Tohru ended up on my wall. Why did I buy it in the first place? It was too cool for like $1 + shipping. You can’t see it because of the chair and lamp, but it has “MANGA” written in the sand. The bookshelf part of it was really cool…I hope it didn’t get thrown away and it’s in the attic or something. Tohru is quite large, probably almost five feet from the top or bottom. So I have a large bikini girl from a series I marginally like hanging up on my wall. NO, I DON’T KNOW WHY. YES, I AM WEIRD. Anyways, Merry Christmas, or Happy Random Day if you don’t celebrate it! And thanks for celebrating the 25 Days of Fruits Basket with me! It’s hard to resist a bargain. I own tons of Steam games that were on sale and I am unlikely to ever play. A bikini girl for $1 is a better investment that my Valve purchases. The Tohru on my wall humbly thanks you for your kind words. This is so nostalgic. I don’t really remember much of the plot because I watched/read this series so long ago. The anime and manga were different, yes? That much I can remember. Yeah, there’s at least one major plot point that’s significantly different between the two.